Brian Friel’s Faith Healer (1979) is regarded as one of his best, if not the best of an amazing body of work. With its shaggy dog tales, its incantatory, metaphorical dream-like quality, guilt and exploration of the strange alchemical process that can produce miracles – spiritual or creative – its own magic lies in the close proximity of word and character with atmosphere. Twenty four years ago, the Royal Court revived Friel’s drama with the great Irish actor, Donal McCann as Frank Hardy, the exiled, restless preacher, roaming the British Isles and villages searching for peace, affirmation, a homecoming, maybe even atonement? 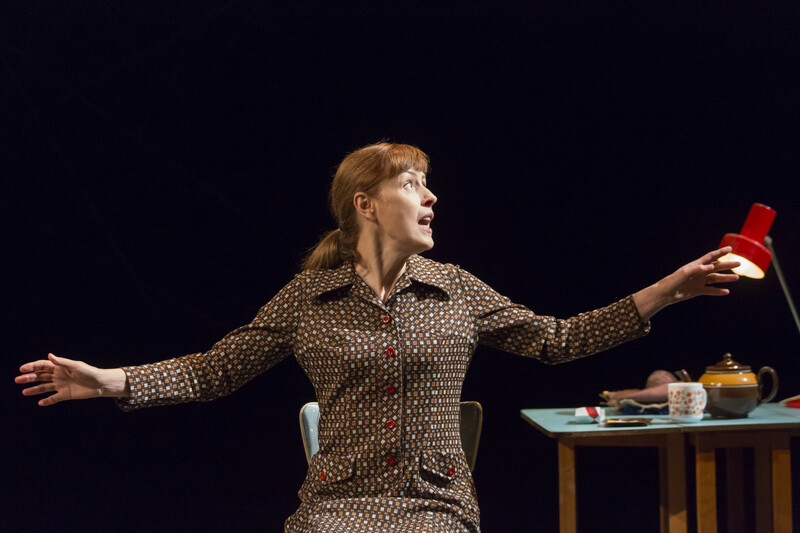 Lyndsey Turner’s production is starkly, brutally exposing. Lit by a single spotlight, Stephen Dillane, arguably the greatest actor of his generation, dons the mantle this time of Frank. It’s a frustrating experience – perhaps as it would have been encountering Frank himself in some godforsaken Scottish or Irish village. 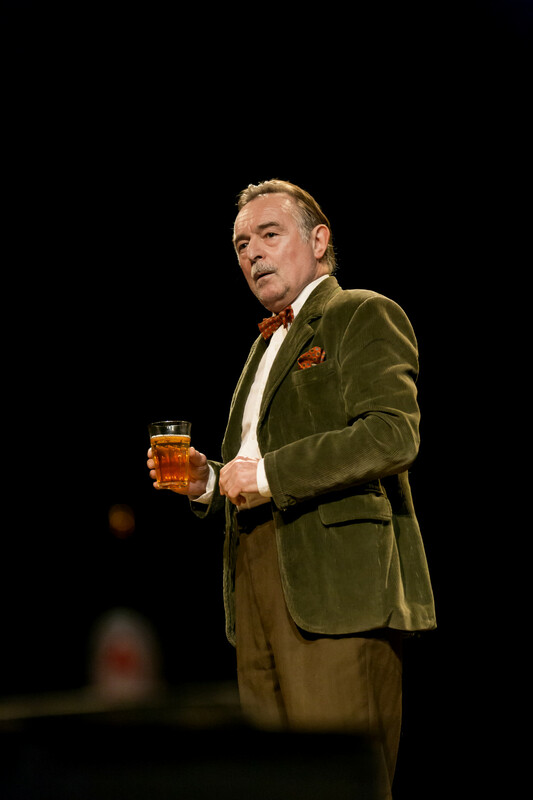 Dillane, eyes closed, head thrown back, in some moments seems the quintessence of the mesmeric wanderer, riding Friel’s rhythms only to drop his voice to a whisper that disappears, inconclusively, into the Donmar darkness. In that same 1992 Court revival, Ron Cook played Teddy, his manager, the third anchor to Frank’s wandering minstrel miracle show. Here he is again, the loyal slightly sleazy showbiz pro, still dapper in bow tie and perma-smile. Sandwiched between and punch-bag to Frank’s unceasing, troubled fantasies is Gracie, here the glacial Gina McKee. Teddy it is who recounts the appalling reality of Frank and Gracie’s turbulent co-dependent relationship (including a stillborn child born on a roadside in Sutherland). But McKee’s neat, apron-wearing Gracie appears to bear few scars other than the occasional `I’m getting stronger, I’m sure I am’. Only later do we learn – inevitably from Teddy – that she has topped herself, so lost is she without Frank. At its best, Faith Healer’s makes your hair stand on end, so direct its communication and unsettling its conjurations. No wonder Conor McPherson, heavily influenced by Friel, worked the same device so successfully. Turner’s production captures some of that magic intermittently but altogether feels too scrubbed and shorn of the messiness surrounding human relations. 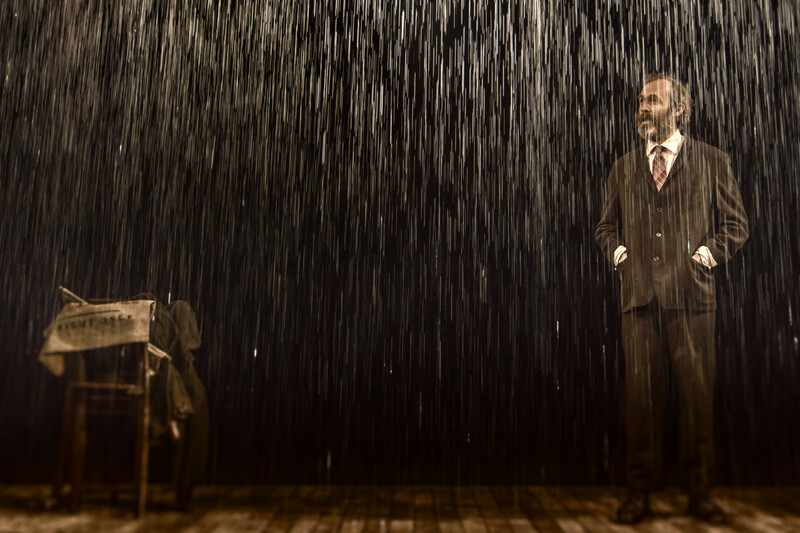 This entry was posted in 2016, Reviews and tagged Brian Friel, Conor McPherson, Donal McCann, Donmar Warehouse, Es Devlin, Gina McKee, Irish classic, Lyndsey Turner, miracles spiritual and temporal, rain...rain, Ron Cook, Stephen Dillane on July 4, 2016 by Carole Woddis.